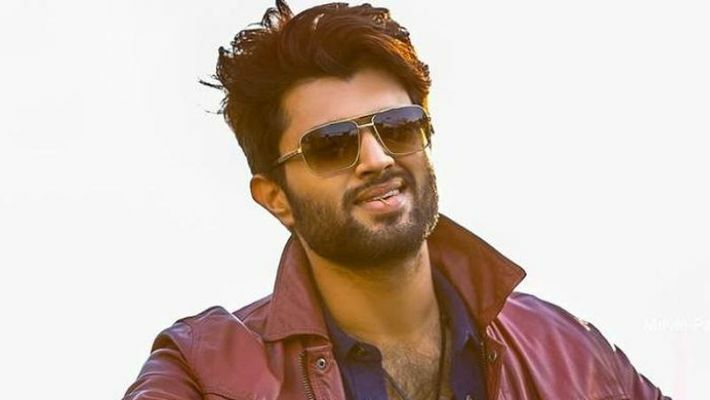 Vijay Deverakonda was reportedly hospitalised after playing Holi after reportedly complaining of severe dehydration. Hyderabad: Telugu actor Vijay Deverakonda is currently busy shooting Dear Comrade with Kannada actor Rashmika Mandanna. However, it looks like the actor's Holi celebrations yesterday took a turn for the worst. According to reports, Vijay got admitted in a hospital in Hyderabad after taking ill post his Holi celebrations. After playing Holi, Vijay got a fever and had to immediately take rest since it would have posed a serious health risk. According to a source, Vijay was busy these days wrapping up the shoots of his multiple projects and this may have taken a toll on his relaxation time to play Holi. "Vijay Deverakonda is working around the clock to get things wrapped up, which made his exhausted. He'll continue his shooting soon after he recovers," a source said. A few days ago we saw the teaser of Dear Comrade, the video received mix reviews with many even criticising the teaser, especially the smooch between Rashmika and Vijay. Though the lip-lock lasted just a few seconds, the brief glimpse shows Vijay kissing Rashmika. The film is expected to be romantic and action-packed. In the film, Vijay plays a student leader, and as we see in the video, he knocks a punch in the face of a person before the scene switches to him getting intimate with Rashmika.